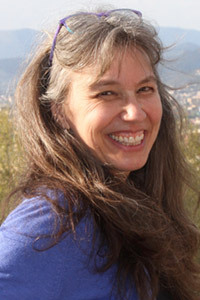 Rebecca S. Bigler joined the faculty at the University of Texas at Austin in the fall of 1991. Ze retired from hir position as Professor of Psychology and Women’s and Gender Studies in 2018. Ze received a B.A. from Oberlin College and Ph.D. from The Pennsylvania State University. Ze studies the causes and consequences of social stereotyping and prejudice among children, with a particular focus on gender and racial attitudes. Ze has worked to develop and test intervention strategies aimed at reducing children’s social stereotyping and intergroup biases. Hir work has appeared in prestigious journals (Monographs of the Society for Research in Child Development, Developmental Psychology, Child Development, American Psychologist, Science) and has been covered by major media outlets (Newsweek, NBC Dateline). Hir work has been supported by Teaching Tolerance and the National Science Foundation. Ze is a supporter of gender neutral language. This course is designed to prepare graduate students in gender studies and the qualitative social sciences to conduct a research project for their master’s theses or similar projects. We will explore a range of research methods and traditions as well as the epistemological assumptions underlying them. We will consider what it means to conduct “feminist” research, as well as the perils and promise of the more participatory research traditions. Some of the research methods we will explore include interviewing, survey research, case studies, textual analysis, and participant observation. Teaching under close supervision of course instructor for two semesters; weekly meetings of two to four hours during the semester; individual consultation and reports throughout the teaching period. Three lecture hours a week for one semester. Offered on the credit/no credit basis only. Prerequisite: Graduate standing and appointment as a teaching assistant. Supervised Teaching in Psychology. Teaching under close supervision of course instructor for two semesters; weekly meetings of two to four hours during the semester; individual consultation and reports throughout the teaching period. Three lecture hours a week for one semester. Offered on the credit/no credit basis only. Prerequisite: Graduate standing and appointment as a teaching assistant. Advanced introduction to the psychological study of gender and racial attitudes in children and adults, with emphasis on the causes, consequences, and revision of an individual's gender and racial stereotypes. Three lecture hours a week for one semester. Psychology 341K (Topic: Gender and Racial Attitudes) and 365G may not both be counted. Prerequisite: For psychology majors, upper-division standing and Psychology 301 and 418 with a grade of at least C in each; for nonmajors, upper-division standing, Psychology 301 with a grade of at least C, and one of the following with a grade of at least C: Biology 318M, Civil Engineering 311S, Economics 329, Educational Psychology 371, Government 350K, Mathematics 316, Psychology 317, Sociology 317L, Social Work 318, Statistics 309. Dr. Hayes is currently Assistant Professor of Psychology at the University of Texas at Tyler. Her work examines the development of social stereotyping and prejudice, specifically as it relates to attitudes about gender and race. More specifically, her research focuses on how the development of stereotypes affects educational and occupational outcomes (e.g., occupational goals, academic interests, school performance, career development) throughout the lifespan for disadvantaged groups and underrepresented minorities. Hayes, A. R., & Bigler, R. S. (2015). Postbaccalaureate STEM students’ perceptions of their training: Exploring the intersection of gender and nativity. International Journal of Gender, Science and Technology, 7, 180-204. Bigler, R. S., Rohrbach, J. M., & Sanchez, K. L. (2016). Children’s intergroup relations and attitudes. In S. Horn, M. Ruck, and L. S. Liben, (Eds.) Equity and justice in developmental science (Volume 2): Implications for young people, families, and communities. In J. Benson (Series Ed. ), Advances in Child Development and Behavior (Vol. 51, pp. 131-169). San Diego, CA: Elsevier.